Any experienced scuba diver will have Belize on their shortlist of the best diving destinations in the world. It's home to the largest coral reef in the Western Hemisphere, there are hundreds of islands ("cayes," as they are called locally) that dot the 240-mile coastline and give visitors an abundance of diving opportunities. While there are picturesque white-sand beaches, luxury shopping and vibrant culture on land, there is just as much happening underwater. For most traveling from the US, the best point of entry is to fly directly to Belize City and then head to one of Belize’s largest and most inhabited islands, Ambergris Caye. Ferries run frequently to the island, but one of the most spectacular ways to travel is by small plane. If you're comfortable in a smaller plane (14 seats to be exact) and don't mind the extra expense, this is by far the best and fastest way to travel around Belize. Ambergris is the largest and most popular of Belize’s islands and it's only town, San Pedro, offers plenty of accommodation and cultural delights, and the town’s close proximity to the barrier reef makes it perfect for scuba divers. 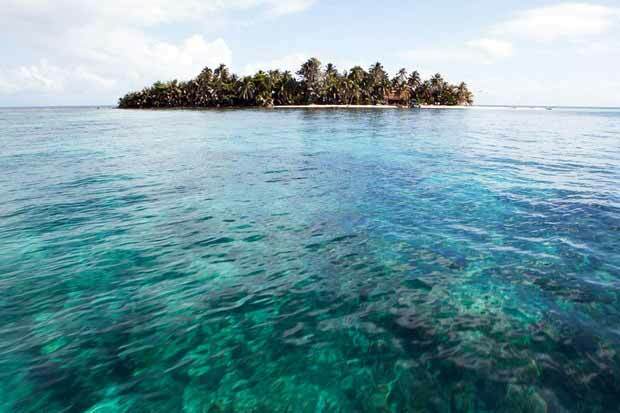 Most of the dive sites off of the caye are shallow, colorful and teeming with marine life. Diving sites “Paradise Canyons” and “Shark Ray Alley” are popular spots and a quick boat ride from town and most resorts. If you aren’t yet SCUBA certified—a prerequisite for exploring the depths of the sea—many diving operations in San Pedro provide three-to-four-day courses. Lodging options on Ambergris Caye are varied, so there's something for every kind of traveller and budget. Matachica Resort and Spa is a small, superbly run resort that makes you feel like you're on your own private island—highlights include a dock overlooking the reef and an infinity pool surrounded by trees and wildlife. Diving can be arranged with the concierge and there are free shuttles by boat to San Pedro if you wish to explore the eclectic island town. After a few days on Ambergris, those looking to focus more on diving and less on luxury should venture to St George’s Caye—a 25-minute boat ride from Belize City. 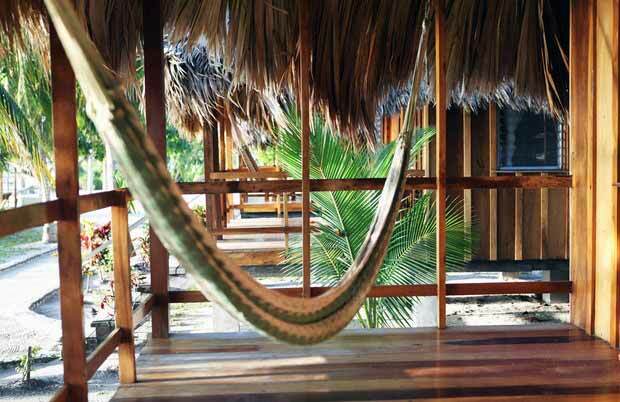 The St George's Caye Resort is laid-back and familial. It offers all-inclusive packages for lodging and food—meals are served at communal tables at the same time each day—with thatched bungalows that face the ocean or are located on a circular dock along an inlet. The resort shares the island with several mostly idle vacation homes; giving the island a slight ghost-town feeling. The resort is perfect for its proximity to the mainland and its access to Belize’s premier sites for diving: Turneff Atoll, Lighthouse Atoll, Glover’s Atoll and the infamous Blue Hole. Those looking to follow in the footsteps of Jacques Cousteau should not miss the day trip to one of his favorite diving sites: the Blue Hole. This famous diving destination is a two-hour boat ride from St George’s Caye, but the trip is well worth it. Totally other-worldly, this circular sinkhole extends down 400 feet in the middle of a shallow reef. Divers are able to explore deep into the Blue Hole’s abyss—weaving in and out of massive stalactites as they slowly dive up and down along its walls. What it lacks in color and diverse marine life, it surely makes up for in its grandeur and mystery. After the Blue Hole, explore other parts of the Lighthouse Reef, where you'll be surrounded by stunning colorful marine life, sea turtles and even dolphins. Located at the end of a thin peninsula in the southern region of Belize is the fishing turned tourist village of Placencia. The area has gone through big developmental changes over the years—both boom and bust—and is a reminder that Belize is an ever-evolving country. Along the only road meandering through the village are a smattering of restaurants and shops, with houses and shacks scattered in between. One of the best local spots is Omar’s, an open-air Creole joint with tasty coconut curries that comes highly recommended by many locals. A lot of the best places to stay are outside the main village, to the north, like the Turtle Inn. Certainly not cheap, this Balinese-inspired resort is one of Francis Ford Coppola’s resorts, and while it's luxurious, it's also unassuming. The entire resort is a thatched wooden paradise which creates an indoor/outdoor vibe throughout. Diving services are also operated out of Turtle Inn as well as other operators in and around Placencia. When it comes to diving, Placencia is famous for its access to the Gladden Spit reef, which offers diving and snorkeling with majestic Whale Sharks during the spring months. Most of the diving is an hour offshore, with trips to small cayes that offer a base of operations for the day. The diving from these islands is particularly stunning due to the abundant sea life. 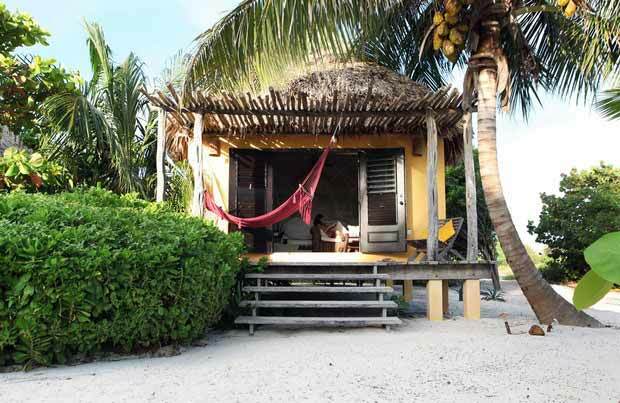 One particularly special place is Ranguana Caye, which may lack certain amenities, but is entirely charming. With just three cabins and one communal dining area, it's the perfect destination to unplug from the rest of the world. 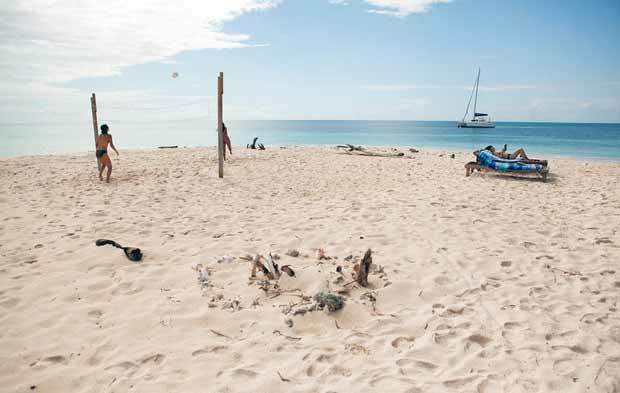 With boats arriving almost daily, you can join diving or snorkeling trips and use the island as your own private diving center, or simply read a book on the white sand beach under that gently sloping palm tree you’ve seen in all the postcards.